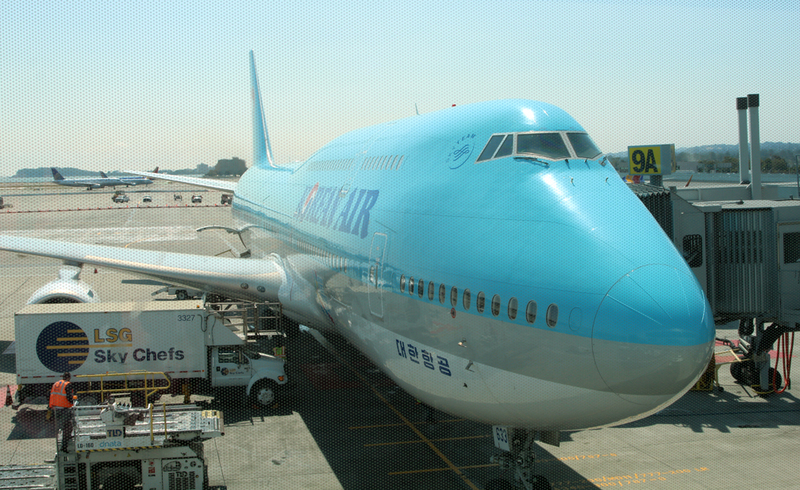 This is the KAL 747 that I flew on from Seoul/Incheon to San Francisco. As a Delta Airlines partner, KAL still runs a few 747s, but they are being replaced by new, more efficient Airbus models. These 747s will be retired by the end of the year, and so this will be my last flight on one. It is the end of an era.